If you're driving in Utah or along the Utah-Arizona border, you're in a land founded by hard-working Mormons. When I visited Bryce and Zion National Parks, we encountered some charming villages down back roads that had Mormon churches at their centers. The Mormons have had a very positive effect on this countryside, and the towns are orderly and close-knit. But although these small towns are charming, there's a darker side to certain aspects of the fundamentalist sects that have their roots in the Church of Latter-Day Saints. The Salt Lake Tribune has published a Polygamist Leadership Tree that provides an excellent overview of the origins and linkages between polygamist sects in the U.S. and Canada. Polygamous sects have founded isolated communities in the Southwest and have developed a society that defies the laws of both Arizona and Utah. They support polygamous marriage, including marriages between underage girls and older men. One such community is located in Colorado City, Arizona, in Mojave County. The closest larger town is St. George, Utah, known as a retirement and recreation community. St. George is quite a distance away. Colorado City is very isolated. 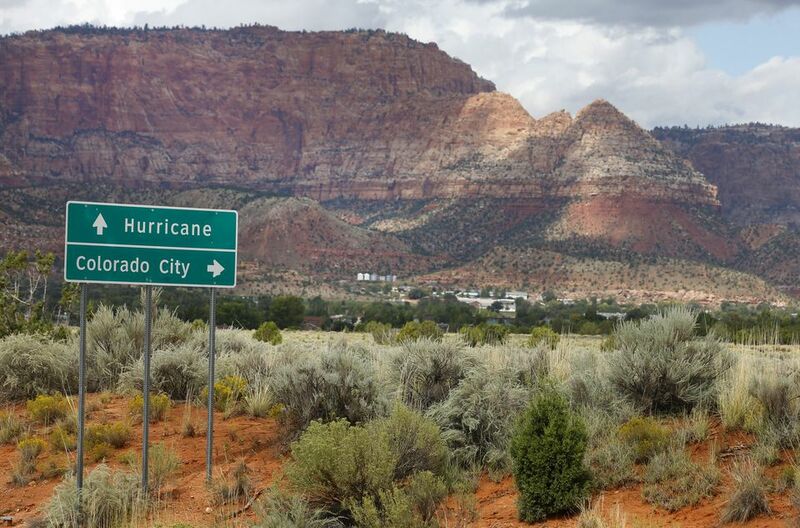 Hildale, Utah is home to the nation's largest polygamist community. It sits directly across the border from Colorado City. Strangers are not common and the isolation has allowed a radical sect of polygamists to establish control over the families and children who live there. It is important for visitors to be aware of this community. A Phoenix, Arizona woman who was once a member of the sect in Colorado City escaped the night before she was to be married to an older man. She was 14 years old at the time. Pennie Petersen found out that she was to be married to a 48-year-old man who she said had previously molested her. She ran from the sect and has become an advocate for the underage brides in Colorado City. "Petersen advocates education as an important element to any sort of solution in Short Creek (original name for Colorado City). Currently, many boys and girls never make it past the eighth grade, and even then their schooling is done in private, religious schools under the supervision of Jeffs. Peterson added, "Show my 17-year-old daughter a 70-year-old man and tell her that's going to be her new husband, she'll tell you, 'Hell, no,' and beat the crap out of you." "Banking on Heaven is the inside story of the largest polygamous enclave in the United States, written, produced, and narrated by Laurie Allen, who escaped a similar polygamous sect at age sixteen. While the media sensationalize this story, Banking on Heaven takes you inside, takes you where no one has gone before, behind closed doors in Colorado City, Arizona and Hildale, Utah." The website has a trailer for this film which is definitely worth watching. With the 2007 arrest and conviction of Warren Jeffs, the leader of the Colorado City community, change seems to be in the cards. But these are not communities that welcome outsiders, and they should be avoided by travelers for the time being. National Public Radio reports that underage brides in Utah and Arizona have been cooperating with state authorities and were instrumental in Jeffs' arrest and conviction. Texas officials raided a polygamist compound in Eldorado, Texas in the spring of 2008, but some believe that this has only complicated efforts to address the issue in Arizona and Utah. Interventions in these states tend to take a more low-key approach. Texas authorities say the raid was in response to a 16-year-old girl who called on a cell phone from the compound asking for help. This ultimately resulted in 416 children being removed from Eldorado homes. Intervening with established families in closed societies—albeit families who are ignoring the law—is touchy and tricky business. Only time will tell which approach will be more successful in helping the children who grow up in these closed and oppressive environments.